Let’s be honest, it’s expensive to own physical gold bullion if you take into consideration annual storage fees banks charge you for renting their safe deposit boxes. In addition, once you decide to sell your gold bullion bars, you might have to pay again for having your bars assayed and tested for purity. Bottom line, extra costs add up and, frankly, might take the sense out of investing in physical gold. However, do not get discouraged, since there’s a good alternative to investment into physical bullion, a gold ETF (Exchange Traded Fund). Let’s take a look at one very good option, Claymore gold bullion ETF and try to figure out how it works. A Gold Exchange Traded Fund is created to mimic the price movement of physical gold bullion, or the spot price of gold without ridiculously high added expenses of owning actual physical gold. 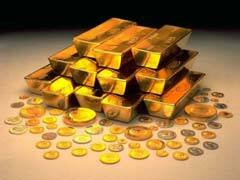 You can invest into Claymore gold bullion ETF by buying shares of this fund. The ticker symbol for one of the best gold bullion ETF’s is CGL:CAN. The majority of asset holdings of this Canadian gold bullion ETF constitutes of International gold bullion bars in 100 oz and 400 oz sizes that are stored in fund’s secure vault system. Claymore gold bullion ETF imposes 0.5% fee to cover its management fees. That’s a very low cost way to alternatively invest into the physical value of gold and provide you with solid hedge against inflation and portfolio diversification. If you take time and look at Claymore gold bullion ETF performance charts, you will notice steady and pretty impressive growth patterns. This fund appears on the top of highly recommended Gold ETF lists. Before you invest in Claymore gold bullion ETF or any other ETF fund of its class, study the fund’s investment objectives, its management and any fees or loads you might incur with investment.